The MeTV Network salutes the timeless comedy and memorable quality of the TV series M*A*S*H with two exclusive, special events this November. First, actor Jamie Farr hosts his 10 favorite episodes of M*A*S*H in the weeklong celebration M*A*S*H: The Best By Farr, airing 7:00-8:00 pm ET, Monday, October 31 through Friday, November 4. Then, MeTV assembles many of the cast and creators of M*A*S*H to look back on one of the most powerful and riveting broadcast television events in history with Me TV Remembers the M*A*S*H Finale, airing 7:00-10:00pm ET on Veteran's Day, Friday, November 11. Viewers can find out where to watch MeTV locally at MeTV.com. 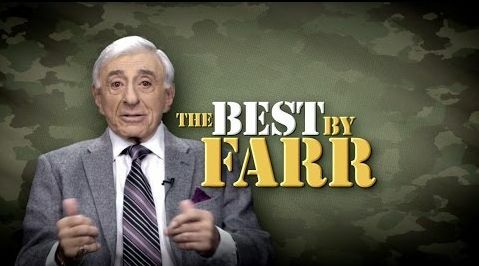 Famous for his starring role as Maxwell Klinger, Jamie Farr brought heart and hilarity to his work on M*A*S*H. Now, he looks back on the famous series and shares his 10 "best of" episodes exclusively with MeTV viewers. Hosting a full week collection of his favorite and most memorable episodes, Jamie will share thoughts, insights, memories and funny stories as part of each show. 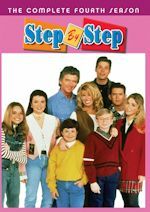 Viewers can also enjoy more of these special stories from Jamie on the network website MeTV.com. M*A*S*H: The Best By Farr, airs 7:00-8:00 pm ET, Monday, October 31 through Friday, November 4. The final episode of the series still holds the record as the most watched dramatic television event in history, seen by more than 105 million people. To commemorate this broadcast, MeTV has assembled several members of the cast and creators to share their memories of the series and its historic final episode. MeTV Remembers the M*A*S*H Finale will feature these exclusive interviews together with the uncut series finale. By airing this special 7:00 to 10:00pm ET on Veteran's Day, Friday, November 11, MeTV Network pays tribute to our servicemen and women. 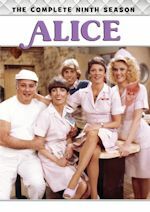 Cast and creators who will appear in MeTV Remembers the M*A*S*H Finale include actors Alan Alda, Loretta Swit, Jamie Farr, William Christopher, Mike Farrell, Gary Burghoff, Wayne Rogers, and writers and producers Burt Metcalfe, Gene Reynolds, Thad Mumford, Dan Wilcox, David Isaacs, Elisa Davis, Ken Levine. For the week of Oct. 31-Nov. 4, 2016, we have many current sitcom stars and past sitcom stars on TV talk shows! All times listed are Eastern. So get your DVRs (or whatever you use) ready! Ready? Here is all what you need to know for the coming week! Kathy Griffin (Suddenly Susan) - Watch Kathy on Jimmy Kimmel Live! at 11:35pm on ABC. J. B. Smoove (The Millers/Bent/'Til Death/Curb Your Enthusiasm) - J. B. visits The Late Show with Stephen Colbert at 11:35pm on CBS. J.B. and the cast of Almost Christmas are guests on the AOL Build Show at 3pm. Nathan Lane (Modern Family/Encore! Encore!/Charlie Lawrence) - Nathan is a guest on Late Night with Seth Meyers at 12:36am on NBC. Ana Gasteyer (People of Earth/Lady Dynamite/Suburgatory) - Ana appears on Last Call with Carson Daly at 1:35am on NBC. Kevin James (Kevin Can Wait/The King of Queens) - Kevin stops by LIVE! with Kelly, so check your listings. Ariana Grande (Sam & Cat) - Ariana is a guest on The Ellen DeGeneres Show, so check your local listings. Boris Kodjoe (The Last Man on Earth/Second Time Around) - Boris appears on Harry, so check your local listings. Peter Gallagher (Togetherness/The Secret Lives of Men) - Peter is a guest on Access Hollywood Live, so check your local listings. Björn Gustafsson (People of Earth) - Björn talks about the new TBS comedy People of Earth on the People Now at 2pm. Ken Jeong (Dr. Ken/Community) - Ken chats with the ladies of The View on ABC at 11am ET/10am CT-PT. Whoopi Goldberg (Whoopi/Bagdad Cafe) - Catch Whoopi on The Tonight Show Starring Jimmy Fallon at 11:34pm on NBC. Zoe Lister-Jones (Life in Pieces/Friends with Better Lives/Whitney) - Zoe appears on The Tonight Show Starring Jimmy Fallon at 11:34pm on NBC. Pamela Adlon (Better Things/King of the Hill/The Facts of Life) - Pamela visits Late Night with Seth Meyers at 12:36am on NBC. Mark Consuelos (Hope & Faith) - Mark is a guest on The Late Late Show with James Corden at 12:37am on CBS. Zooey Deschanel (New Girl) - Zooey stops by The Late Late Show with James Corden at 12:37am on CBS. John C. McGinley (Scrubs/Ground Floor) - John appears on Last Call with Carson Daly at 1:35am on NBC. Janet Varney (You're the Worst/Burning Love) - Janet is a guest on @midnight on Comedy Central at midnight. Louis C.K. (Louie/Lucky Louie) - Louie drops by Conan at 11pm on TBS. 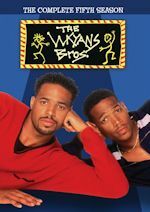 Wanda Sykes (The New Adventures of Old Christine/Wanda at Large) - Wanda appears on Harry, so check your local listings. Nicole Sullivan (Wendell and Vinnie/$#*! My Dad Says/Rita Rocks/The King of Queens) - Nicole is a guest on Home & Family on Hallmark Channel at 10am ET/PT. Dana Carvey (One of the Boys) - Dana will be on NBC's Today sometime between 7-9am. J. B. Smoove (The Millers/Bent/'Til Death/Curb Your Enthusiasm) - J. B. talks about Almost Christmas on NBC's Today in the 9am hour. Patton Oswalt (The Goldbergs/The King of Queens) - Watch Patton on The Tonight Show Starring Jimmy Fallon at 11:34pm on NBC. Michael Strahan (Brothers) - Michael is a guest on The Late Show with Stephen Colbert at 11:35pm on CBS. Nick Kroll (The League/Cavemen) - Nick appears on The Late Show with Stephen Colbert at 11:35pm on CBS. Christian Slater (Breaking In) - Christian is a guest on Late Night with Seth Meyers at 12:36am on NBC. Kal Penn (We Are Men/How I Met Your Mother) - Kal stops by Comedy Central's The Daily Show with Trevor Noah at 11pm. Jim Norton (Louie/Lucky Louie) - Jim is a guest on @midnight on Comedy Central at midnight. Nicole Byer (Loosely Exactly Nicole) - Nicole appears on Harry, so check your local listings. Albert Tsai (Dr. Ken/Trophy Wife) - Albert stops by Home & Family on Hallmark Channel at 10am ET/PT. Kristen Bell (The Good Place) - Kristen is a guest on Access Hollywood Live, so check your local listings. Olivia Holt (Kickin' It/I Didn't Do It) - Olivia discusses her first headlining tour, and what it was like to work with Greg Kinnear and Renée Zellweger in their upcoming movie, out early 2017 on People Now at 8:30am. Tamela Mann (Mann & Wife/Meet the Browns) - Tamela performs on NBC's Today in the 10am hour. Kunal Nayyar (The Big Bang Theory) - Kunal is a guest on The Talk on CBS at 2pm ET/1pm CT-PT. Tracy Morgan (30 Rock/The Tracy Morgan Show) - Catch Tracy on Conan at 11pm on TBS. Jim Jefferies (Legit) - Jim appears on @midnight on Comedy Central at midnight. 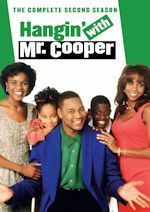 Mo'nique (The Parkers) - Mo'nique stops by Watch What Happens: Live at 11pm on Bravo. Kal Penn (We Are Men/How I Met Your Mother) - Kal talks about Designated Survivor on LIVE! with Kelly, so check your listings. Drew Carey (The Drew Carey Show/The Good Life) - Rachael Ray celebrates the 45th anniversary of The Price is Right, so check your local listings. Kevin James (Kevin Can Wait/The King of Queens) - Kevin will be on ABC's Good Morning America sometime between 7-9am. Romany Malco (Weeds) - Romany is a guest on Access Hollywood Live, so check your local listings. Ken Jeong (Dr. Ken/Community) - Ken appears on Access Hollywood Live, so check your local listings. Oliver Platt (The Big C) - Oliver talks about Rules Don't Apply on NBC's Today in the 9am hour. Heather Graham (Emily's Reasons Why Not) - Heather talks about My Dead Boyfriend on NBC's Today in the 10am hour. Melanie Lynskey (Two and a Half Men/Togetherness) - Melanie talks about Rainbow Time on the AOL Build Show at 2:30pm. Joel McHale (The Great Indoors/Community) - Joel visits The Talk on CBS at 2pm ET/1pm CT-PT. Kristen Bell (The Good Place) - Kristen is a guest on The Real, so check your local listings. Eve (Eve) - Eve guest co-hosts The Real, so check your local listings. Patton Oswalt (The Goldbergs/The King of Queens) - Watch Patton on The Late Show with Stephen Colbert at 11:35pm on CBS. Maz Jobrani (The Knights of Prosperity/Better Off Ted) - Maz visits The Late Show with Stephen Colbert at 11:35pm on CBS. Dana Carvey (One of the Boys) - Dana is a guest on The Tonight Show Starring Jimmy Fallon at 11:34pm on NBC. Norm Macdonald (The Middle/Norm) - Norm appears on a repeat of The Late Late Show with James Corden at 12:37am on CBS. Josh Radnor (How I Met Your Mother) - Josh speaks about the play The Babylon Line on LIVE! with Kelly, so check your listings. Molly Ringwald (The Facts of Life/Townies) - Molly joins the Chew Crew on ABC's The Chew at 1pm ET/12pm PT/CT. Wilmer Valderrama (That '70s Show) - Wilmer is a guest on Access Hollywood Live, so check your local listings. Erinn Hayes (Kevin Can Wait/Guys with Kids/Worst Week) - Erinn appears on The Talk on CBS at 2pm ET/1pm CT-PT. Pamela Adlon (Better Things/King of the Hill/The Facts of Life) - Pamela is a guest on Harry, so check your local listings. Dan Fogler (Man Up!) - Dan appears on New York Live on WNBC in New York at 12:30pm ET.